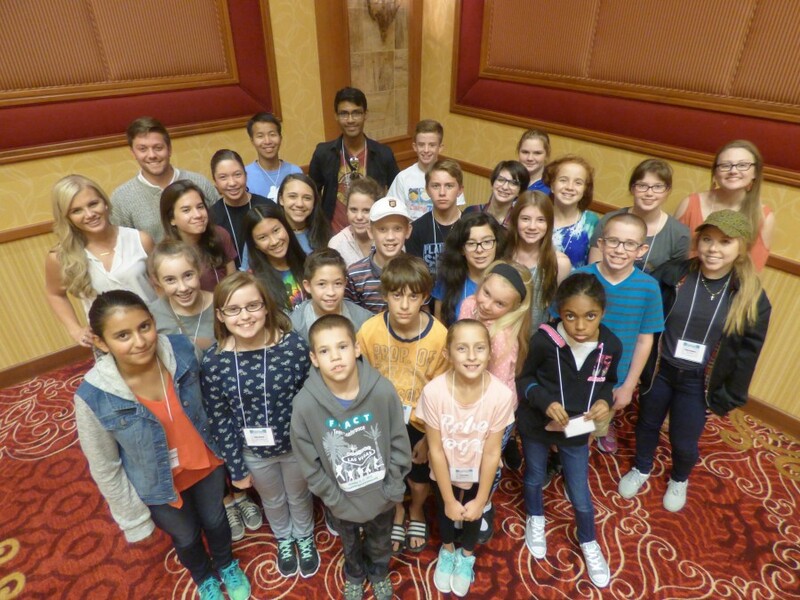 FAACT’s Third Annual Teen Retreat in Las Vegas was an absolute priceless weekend held September 30-October 2, 2016 at The South Point Hotel, Casino, & Spa! We had 16 states represented - amazing! Teen sessions were led by food allergy advocate, Zac Chelini; FAACT teen ambassador, Kendall Hollinger; and Miss Delaware 2016, Amanda Debus, along with Natascia Simone and Emery Gewirtz. Parent sessions were led by Eleanor Garrow-Holding, FAACT President and CEO. A special thank you to our wonderful speakers who presented for both the teens and the parents: Curtis Zimmerman; Amanda Debus; Humaira Robinson, MSN, RN; Jane Robinson, PhD; Chef Keith Norman; Danya Glabau, PhD; Caroline Moassessi; Jill Mindlin; Zac Chelini; Kendall Hollinger; Emery Gewirtz; Natascia Simone; Paul Kramer; and Maya Konoff. The teens had a night of team building activities and games on Friday night while the parents gathered for a Meet and Greet. The Saturday night teen dance party was full of dance, music, karaoke, and caricature drawings. Natascia Simone & Emery Gewirtz won a gift basket from Enjoy Life Foods with a $250 gift certificate. Amelia Smith Murphree won a 3-day, 2 night stay at The South Point Hotel, Casino, & Spa with a dinner for two at Don Vito’s and tickets to a headliner show. Ria Patag won one (1) free registration for FAACT’s Camp TAG 2017 in the location of their choice. Mallory Knell and Imelda Patag each won free registration for two (2) for FAACT’s Teen Conference 2017. Amelia Smith Murphree won one (1) gift basket from Divvies full of yummy treats. Jill Mindlin and Caroline Moassessi each won a San Jamar’s Allergen Saf-T-Zone System with cooking mats. Riley Cothran won a $25 gift certificate from Vermont Nut Free Chocolates. The weekend was EDUCATIONAL, EMPOWERING, and INSPIRING! Experiences were shared, teens learned that they need to continue to be responseABLE, everyone learned that WE need to write OUR own script in life, and we all left with new friendships and bonds! PRICELESS!everyone learned that WE need to write OUR own script in life, and we all left with new friendships and bonds. Thank you to all of the families who took the time out of your busy schedules and traveled to join us this weekend. You all made the weekend so special and FAACTabulous! We cannot wait for next year! SAVE THE DATE FOR 2017: October 20-22, 2017 in Cincinnati, Ohio.